KUWAIT CITY, April 4: The Interpol is a developed method for the world to be a safer place, maintaining law and order and ensuring the law is applied on fugitives without infringing territorial jurisdiction. 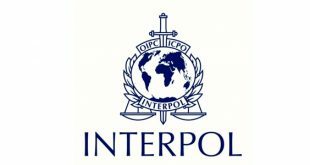 The idea of the Interpol came out of the need for a law to be applied once a judgment is issued and the fact that some people try to dodge penalties imposed on them. For example, if a citizen or a foreigner who lives in Kuwait violates Information Law No. 63 for the year 2015 by slandering, insulting or publishing confidential pictures and information against the will of someone who lives in Europe; the victim can file a lawsuit in European courts where the accused will be convicted since there is a law that criminalizes such acts. 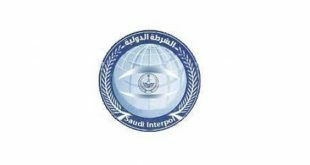 After the issuance of judgment, the Interpol will take the necessary measures for the Kuwaiti government to extradite the convict who is in the Kuwaiti region. Yes, the government will be involved and the local forces will arrest the convict and then hand him over to the authorities in Europe. This is a wonderful aspect of the Interpol as it forges cooperation in implementing laws in different countries to ensure that justice is served. The international criminal police organization, ‘Interpol’, was established in 1923 to connect police forces worldwide. More than 100 countries joined and allotted a budget of 113 million Euros to make sure that every convict is arrested. I got a lot of questions regarding notorious crimes committed in Kuwait and the convicts escaped to the United Kingdom where they could not be arrested as per the regional law or the Interpol. But the real question is, why didn’t the victim file the lawsuit in the United Kingdom? Staying in a country which does not hand over convicts does not mean it is a country without a local law! The law is there for justice to be served but the victim is just ‘LAZY’! Finally, I have noticed some people trying to harm others by buying and owning phone numbers from several countries just to blackmail and send offensive massages. Thanks to the Interpol. Once the court issues judgment, the extradition agreement between the two countries will take effect in order to handover the convict to Kuwait by taking procedures in the European region.